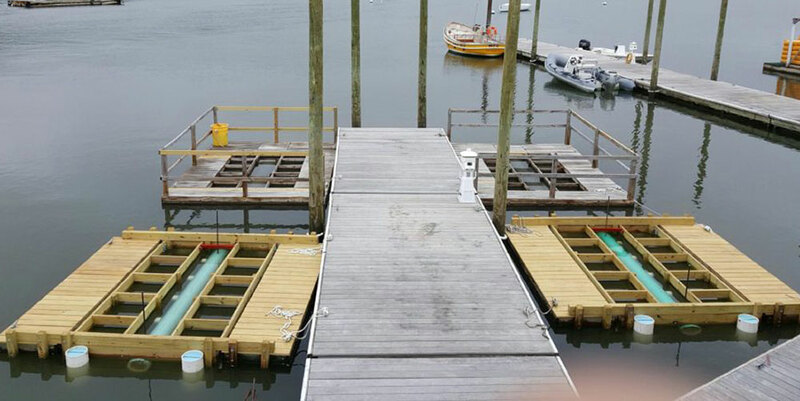 Many people that pass by our shellfish program are always asking the question, “what is that bubbling?” It is a shellfish dock called a FLUPSY ( floating upweller system) What is that? 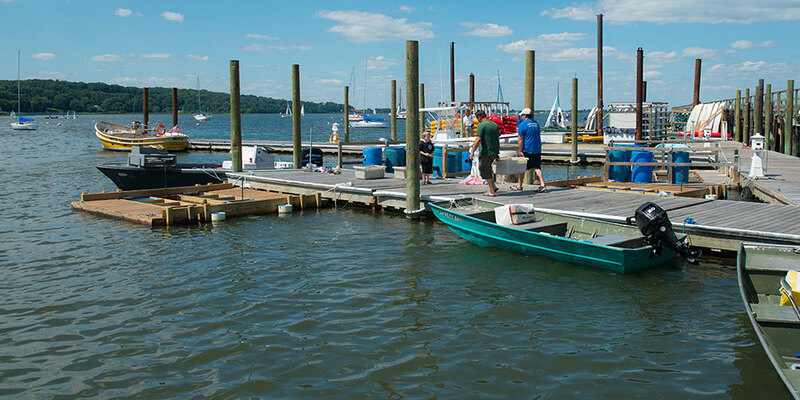 It is a shellfish float operated by North Oyster Bay Baymens Association on a volunteer basis that will help to increase shellfish populations in Oyster Bay. In June small “seed” clams and oysters (approx. 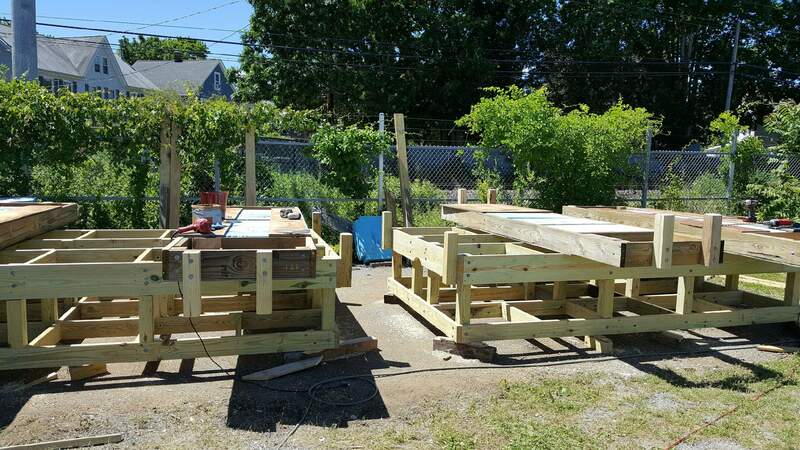 2-4 mm in size ) were purchased by the North Oyster Bay Baymens Association and placed on screens at the bottom of 55 gallon blue barrels. In these barrels they are protected from predators. But what really makes them grow is the phytoplankton (tiny floating plants) in the water that is pumped from the bay through the barrels. As filter feeders shellfish are dependent on the flow of water to bring them food. 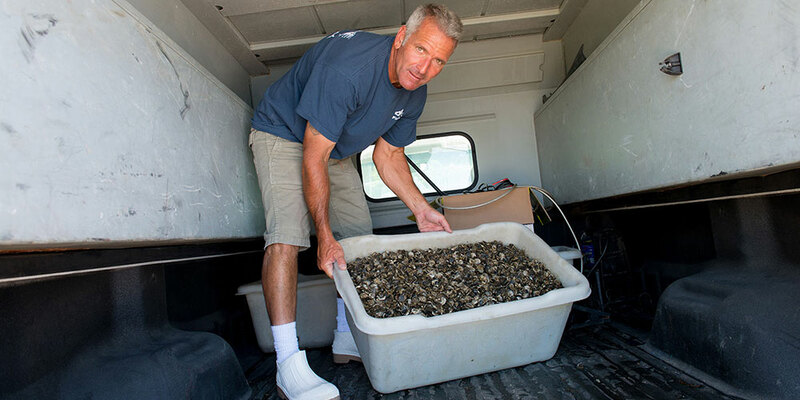 The more water that goes by the clams and oysters the more food they get. 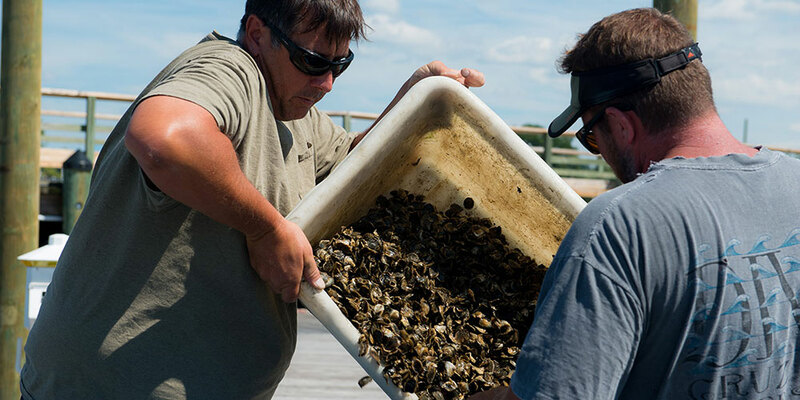 In a FLUPSY shellfish grow twice the normal rate. 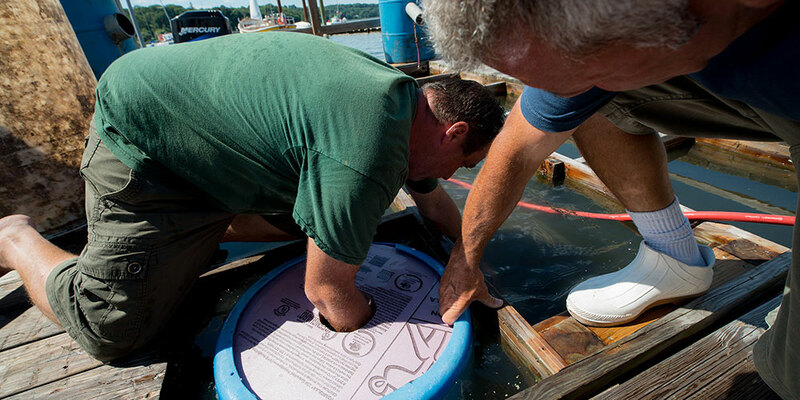 By October the shellfish will have grown to a size (approx. 10 – 15 mm) that will better enable them to protect themselves in the bay. 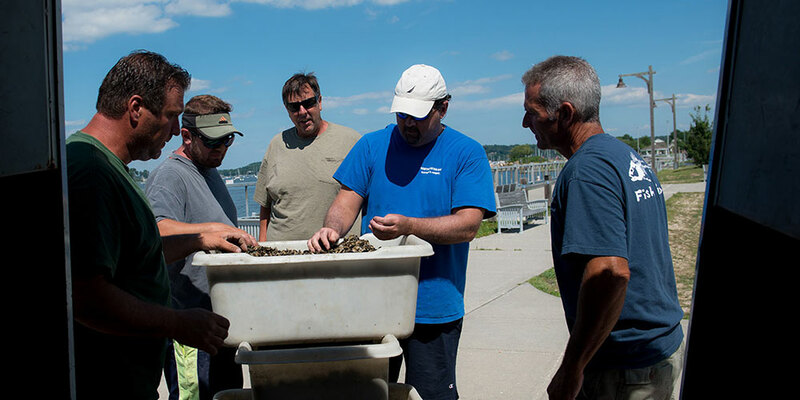 Volunteers from the North Oyster Bay Baymens Association then placed these shellfish onto the public bay bottom where in two or three years they are ready for harvesting. 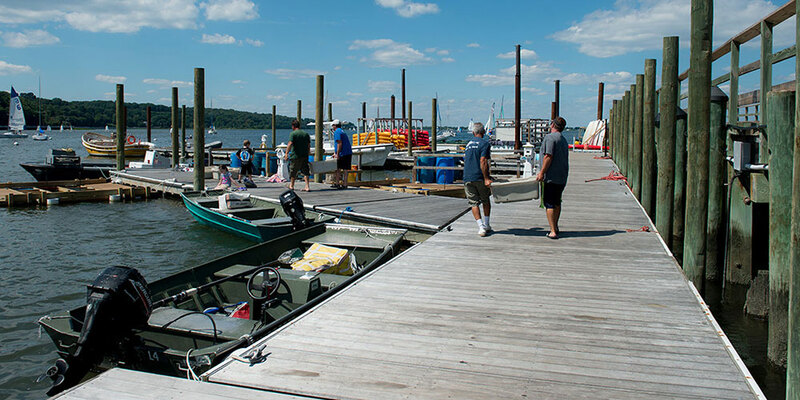 Since 1999 the North Oyster Bay Baymens Association has raised over 4,000,000 shellfish per year. 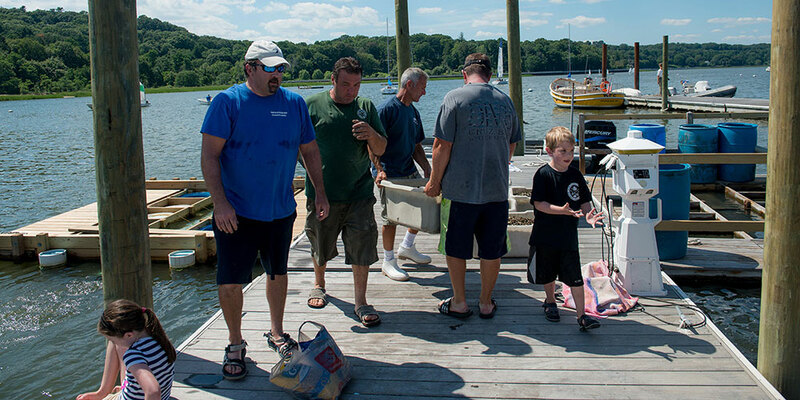 Shellfish are essential to keeping the harbor clean. 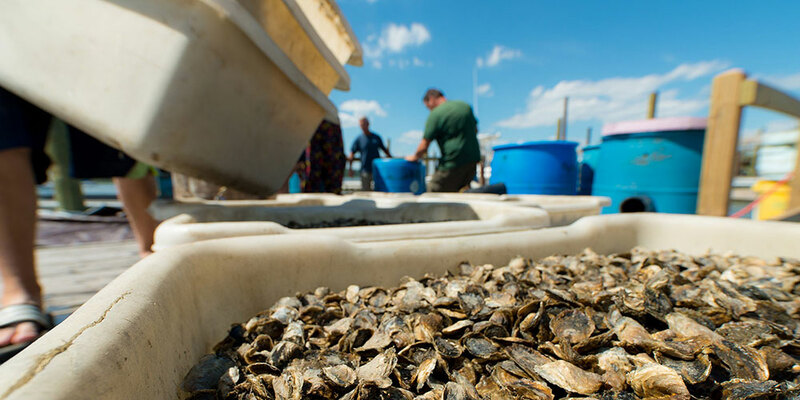 Every oyster and clam can filter up to 50 gallons of water a day making the water cleaner for swimming, fishing, boating and all life in the bay. 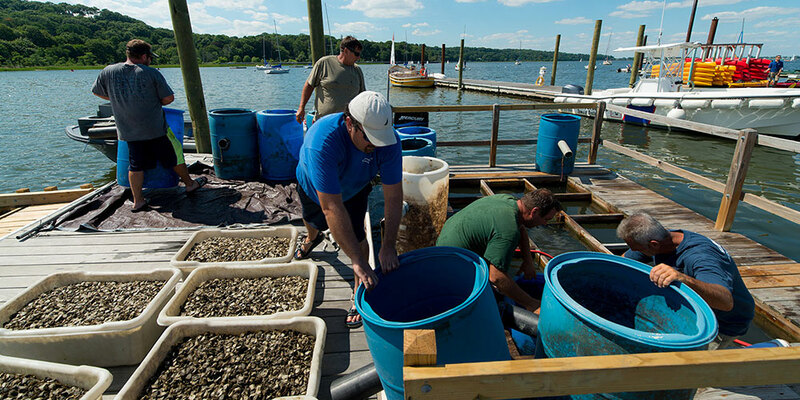 Using modern aquaculture (shellfish farming) techniques such as a FLUPSY the North Oyster Bay Baymens Association is helping to keep the Oyster in Oyster Bay. 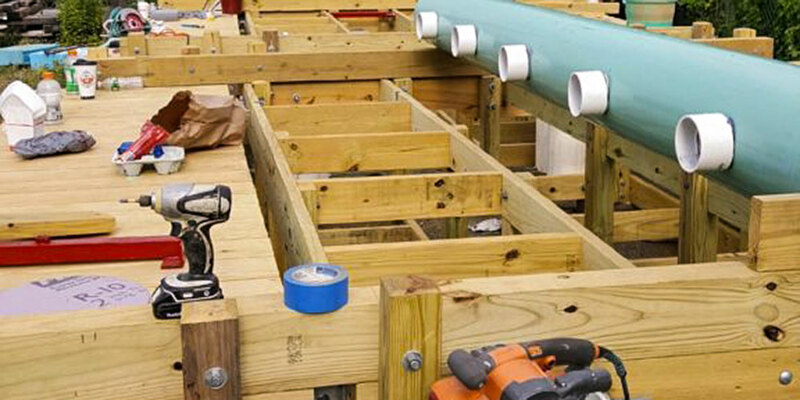 Posted in FEATURED ARTICLES, SEED PROGRAM.